Reviewing the blog entries for the last few months as I was sending some links to someone interested in writing about KSE, I noticed that I never did do a write-up on the SECOND Florida Nocturne Chapbook, MONDO DAYTONA, even though I’d already written about the third entry in the series. That should give you some idea of the level of organization here—where I sometimes schedule two releases with the same number. Perhaps I THOUGHT I’d written about MONDO DAYTONA because I have discussed it here in other contexts (such as my Austin reading in September 2012, where I read MONDO). Some of you reading this already own a copy—either purchased from KSE or scored directly from me at the September reading. In any event, for the record, let me say a few words about MONDO. 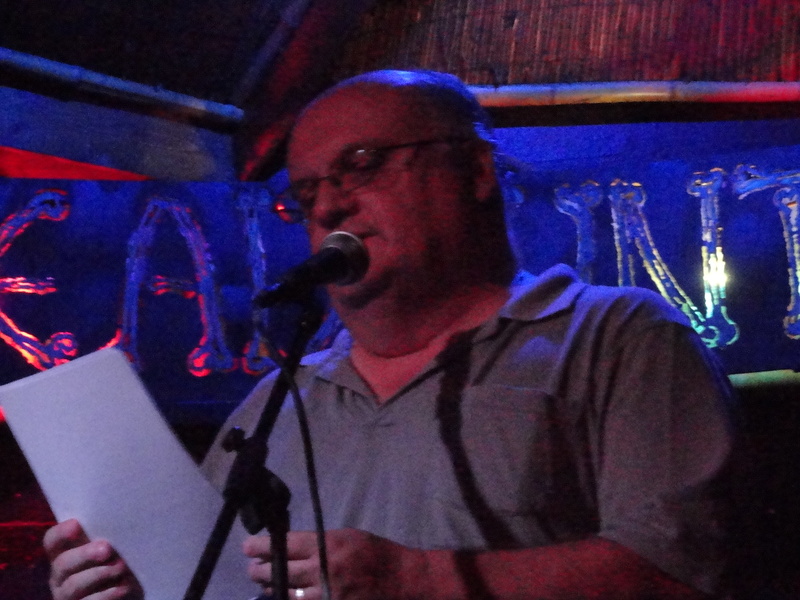 This is the second entry in the Florida Nocturne Poems series, a group of four related Florida-themed chapbooks, but each is a unique free-standing work with a different narrator in a different situation. 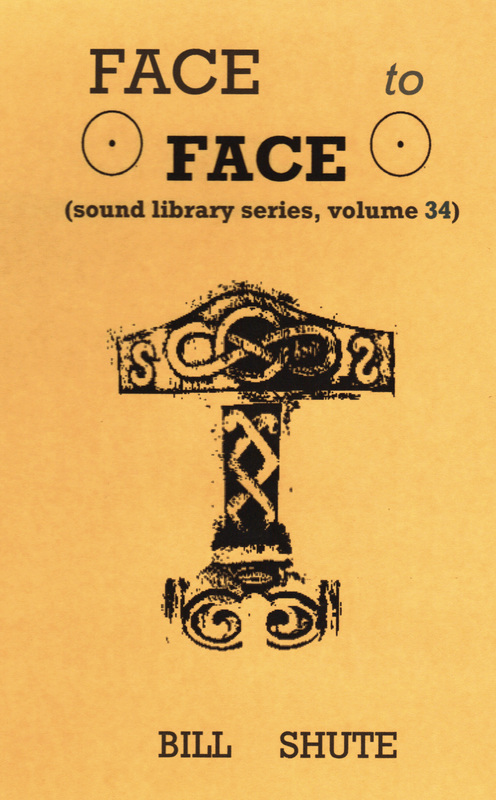 I find interesting and illuminating the ideas of Jack Spicer and of Robert Duncan regarding the serial poem and the concept of one’s body of work constituting a kind of multi-entry long-form work whose form is ever-becoming. To some extent, those ideas are relevant to what I’m doing. However, let me give you an analogy that’s rooted in the trash culture, B-movie, exploitation-film aesthetic that informs everything I do. Let’s say that a Z-grade film company in the 1930’s (Metropolitan, or Superior, or Puritan) hires Tom Tyler for an eight-film series to be shot two at a time at three week intervals over a three-month period. The studio pre-sells the series on the States Rights market and gets some advance capital to help bankroll the series. Tom Tyler has a somewhat established screen persona—people know that he as an actor is not as edgy as Bob Steele, not as “aw shucks” as Reb Russell, not as grandiose as Tim McCoy, not as much of a clown as Hoot Gibson—but in each film he will play a different character. In one film he may be widowed; in the next he may be a ranger whose partner was killed; in the next he may be a rancher with a family whose water is being stolen by some criminal organization; in the next he may play twin brothers on opposite sides of the law. There is a consistent Tom Tyler “presence” in the films—but Tom is playing a separate character in each, someone in a different situation, with a different backstory. It’s not like a series of western films where Buster Crabbe plays Billy Carson, THE SAME CHARACTER, in every film and only the plots change. In the series of Tyler films, some may emphasize comedy, some may emphasize action, one may have a somewhat grim fatalistic feel, one may have more emphasis on beautiful photography of the land, one may be set by a river which is then integrated into the plot. Then again, that same year Tom Tyler the actor might well appear in a non-western film playing another kind of character entirely. He may star in a serial. And don’t forget he played the Mummy at Universal, after Boris Karloff and before Lon Chaney Jr. There is a unity to his body of work, of course, and he’s not a chameleon-style actor such as Gary Oldman or Meryl Streep where you might watch the film for 20 minutes before realizing he/she is the actor in the role. Tom Tyler is Tom Tyler—-you hire him, you get a version of him. That’s how I see the Florida Nocturne Poems series (and, I suppose, by extension my entire body of work as a poet). You buy a Bill Shute poetry chapbook, you get a version of him. My intention was to take different parts of the state of Florida and different aspects of contemporary life as exemplified by that state and then to place a character into a life-situation and inhabit the persona as a writer (much like an actor inhabits a role), find a structure, a form that is right for that character and situation, and create an open-field poetic sculpture that will both re-create the invented experience for the reader AND be an experience in itself in terms of the reader navigating the work and thus, because of its form, feeling some of the energy frozen in its lines and stanzas, which are then melted and liberated upon reading. MONDO DAYTONA is rooted in the earth (hence the title), and roots not only provide nourishment but also an anchoring. I consider the narrator and Rose to have a relationship with beautiful and rich aspects to it, but of course, the seeming necessities of everyday life lead us to sabotage and discard beauty on a regular basis, don’t they? MONDO is also a work with a strong narrative flow, which is one reason I read it at the Austin Salon Poetic in September 2012. It seemed to go over well with that crowd (when people laugh in the right places and gasp in the right places, I know the reading has succeeded), and reader response so far has been excellent. I hope you enjoy it. 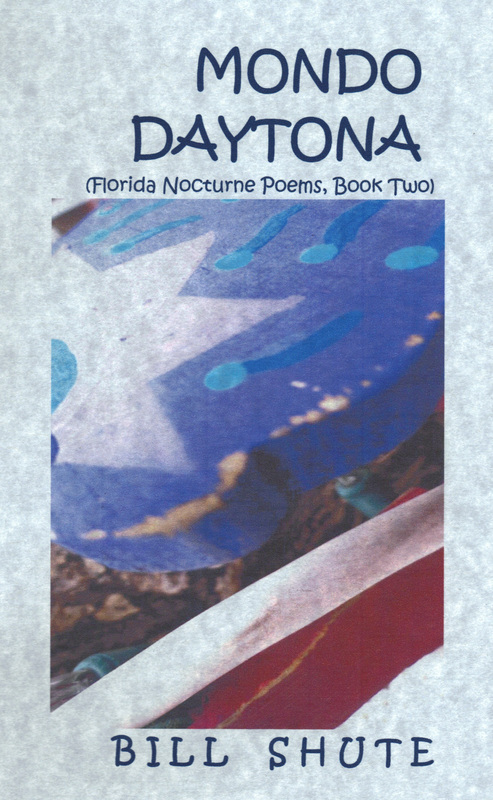 All four volumes of the Florida Nocturne Poems are now available for order–only $5 each, postpaid anywhere. Each is different and each utilizes a verse form appropriate and unique to it. Why not get the entire series—each a hand-made, hand-numbered series on different papers/cover stocks, and each in an edition of under 70 copies? It’s cheaper than a trip to Florida. If you enjoyed the cheap-jack “trip to Hawaii” in Phil Tucker’s film DANCE HALL RACKET, then you’ll enjoy THIS trip to Florida. And if you even GET that reference, then you will probably “get” this chapbook. As always, thank you for your support…and your support of all independent artists and micro-presses and small labels, the ones that serve and belong to no clique, the ones that are not financed by Daddy’s/Mommy’s money or a trust fund (as certain Texas “alternative labels” are), that don’t accept corporate or arts-foundation money (as so many holier-than-thou “cutting edge” arts organizations do, not realizing that they’ve become spineless court jesters by doing so)…the ones that exemplify the low-fi DIY aesthetic and do things cheaply and simply in a way that honors D. A. Levy, Fred Cole, and Jandek in terms of presentation being an essential part of the aesthetic. We issue PRODUCT, and we hope that you find our product interesting and worthwhile, and to quote the Immediate Records motto, we are happy to be a part of the industry of human happiness.